Do you feel like you spend way too much on groceries, and just can't figure out how others are feeding their families for what seems like way less than you? Well I've got a solution for you to that problem. 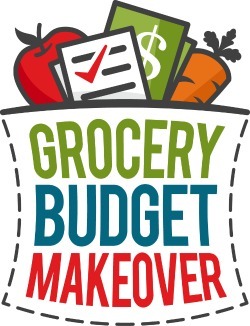 A new 13 week eCourse that my friend Erin, from $5 Dinners, has just created, called the Grocery Budget Makeover. You are not alone if you feel like you're paying way too much for groceries. I know I've felt that way. I remember being a young Mom with just one child, and a husband, and feeling my eyes go wide each time we'd pay for groceries. How is it that it cost that much I'd wonder as I forked over my credit card? And the thing was, we still ate out a LOT back then. My husband and I laugh about what we call our "young blissfully dumb days" because we just didn't know what the heck we were doing. But fast forward to moving three hours away from home, me being pregnant with our second child, plus simultaneously taking a 50% pay cut so my husband could pursue his dream to get a PhD, and yeah, we began to learn really fast how to cut our grocery bill. We had to. So with lots of trial and error, and over time, my husband and I cobbled together quite a few ways to significantly lower our grocery bill week after week. 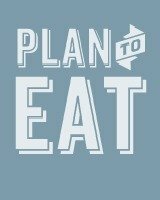 We had no real plan or strategy at the time, but looking back on it now I realize we did it with a combination of grocery shopping techniques, meal planning, couponing, and cooking hacks. And today we're not living in quite as lean times as we were, but the lessons we learned sticked. They're habits now, and today we spend less to feed 5 people (hello third child) than we did all those years ago. That, despite food prices rising more with time and being blessed with a son who seems to think it is his mission to try to eat us out of house and home. Basically what I've learned from the very lean years my husband was in graduate school is that lowering your grocery bill week in and week out is possible, and with gradual improvement and work it becomes habit and eventually becomes relatively easy. And the secret isn't just one crazy thing, like those goofy ads will tell you. It is a combination of using several tried and true techniques, all in combination, that really make a huge difference. But unlike me, you don't have to reinvent the wheel and figure it all out for yourself. I remember scouring the Internet for ideas and tips, trying to learn how to save a few bucks here and there. But today my friend Erin Chase, from $5 Dinners, has put it all into one eCourse for you, so you can learn from a pro. And Erin is a pro. She runs the blog $5 Dinners, and we've been blogging about the same amount of time, since around 2008 (oh my, did I just make us seem like dinosaurs?). 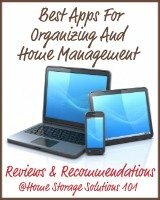 While I focus on home organization and household management topics, she focuses on feeding your family quick, healthy meals for a low cost. I can say, after getting to know her, she's the real deal. She knows how to put good tasting, low cost food on the table quickly. 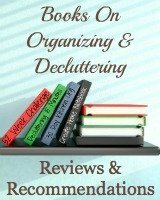 And now she's putting all her secrets into one place, the Grocery Budget Makeover eCourse. Just like me she figured out how to lower her grocery bill, and guess what, she uses a lot of the same ideas I did, and for the same reason, they work! 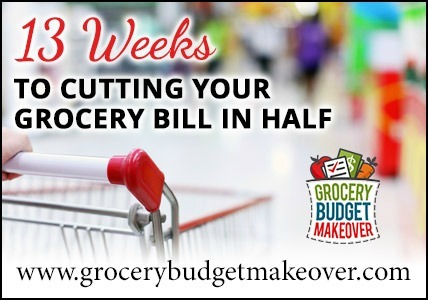 The Grocery Budget Makeover is a 13 week eCourse, with a weekly challenge each week. Each week builds on the last until by the end you've put into practice, in your own life, all these tricks, tips, and habits, that will help you lower your grocery bill drastically. Each week there is a 5-15 minute video, along with worksheets and other printable resources provided to help you implement the strategies and action steps each week into your shopping and cooking habits. It is the combination of all the techniques together which is what I think makes this course worthwhile. 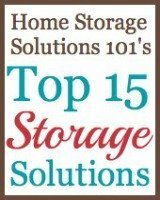 I have watched, in full, the first five weeks of the videos, and they all give some great information. I especially like how she encourages you to get your family on board with the program, because let's face it, if they don't cooperate it makes it 10X harder to actually stick to your meal plans or any of these other techniques either. What If I Eat Healthy? 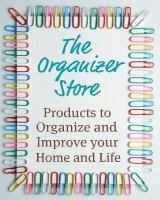 Is This All About Couponing To Save Money? I know I've mentioned coupons as one of Erin's strategies above, and this almost inevitably leads to the question of whether this eCourse can help someone who wants to feed their family healthy, unprocessed foods. 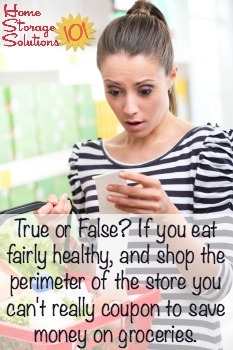 I think the perception sometimes is that it is impossible to lower your grocery bill if you only shop mainly the perimeter of the grocery store, and avoid packaged and convenience foods. Well, I'm here to tell you saving money on food is NOT all about couponing, although couponining does have its place. One of the things I really like about Erin's approach is that her recipes are very kid friendly, but because of her family's food allergy issues, plus just a desire to be healthy, she also shops mainly the perimeter of the stores, but yet she still feeds her family of 6 for a lot less than you'd imagine. Due to food allergies in the family, I avoid most processed foods too. I also use coupons for certain products and will show you where you can find coupons for these types of products, as well as organic products and more. This is the first time Erin's run this course, so right now she's only offering it for one week, May 11th through May 18th, with the course to officially begin on May 19th. It will then run through the summer so you can be saving a large sum on groceries each week by this fall! It costs $39 for the course, which includes the weekly videos, all the free printables and other written materials, a closed Facebook group, cooking demo videos, and 4 community calls where Erin can help answer your questions. The course is designed to make you do some work, so each week's mission is small, so you can slowly accomplish it. This isn't an overnight fix, but it can give real results if you'll do the work Erin suggests, and definitely will pay for itself over and over with the savings you'll see at the store.